Quabbin® Wire & Cable Co., Inc. will introduce the DataMax® Mini-6a F/UTP patch cable to their line of DataMax® Mini 28 AWG solutions at the upcoming Bicsi show set to take place in Orlando, Florida, on February 22 - 26. 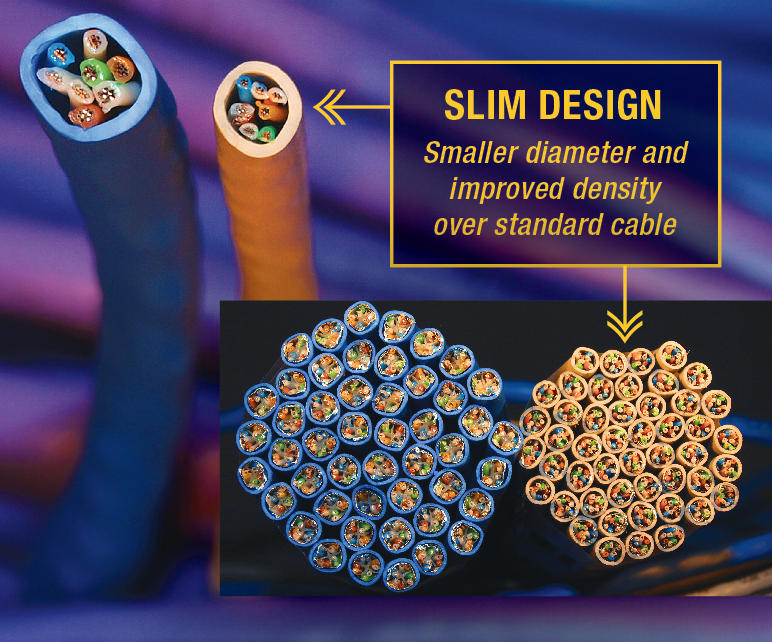 The new patent pending spline-free design provides DataMax® Mini-6a F/UTP with a reduced diameter profile making it an ideal solution for applications that require a smaller and more flexible cable. Features include a 23% reduction in size, a 38% smaller cross sectional area and a 33% difference in weight when compared to standard 26 AWG F/UTP patch cable. DataMax® Mini-6a F/UTP will meet Category 6a plug-to-plug electrical and transmission parameters up to 56 meters making it an excellent solution for data center patching solutions, top-of-rack applications and other temperature sensitive spaces where patch cable transmission distance is secondary to maximizing airflow.